Let’s get this out of the way early—the California condor is not the prettiest of birds. With a wingspan of as much as 10 ft (3 m) and a weight of around 25 lbs (12 kg), it’s scary big. However, it performs an important function in our environment as a scavenger bird, eating carrion, or dead animals. Those dining habits, however, are making it difficult to conserve the species. Condors end up eating a lot of lead in the form of bullet fragments in the carcasses of animals hunted with lead ammunition. This means that condors frequently suffer from lead poisoning. Lead is toxic to most organs and tissues in the body; symptoms of lead poisoning in humans can include pain, confusion, headache, and irritability, as well as seizures, coma, and death. Condors also suffer from DDT poisoning, problems with habitat destruction, and poaching. Condor Watch is a new project designed to help protect this important bird. As part of a plan to both help and study the condor, uncontaminated animal carcasses are put out for the birds to feed on at feeding stations across the state of California. While the condors are eating, remotely triggered cameras snap photos to try to capture the tag number of each condor and observe their behavior around the carcass. Researchers would like you to sift through hundreds of thousands of photographs to help them better understand the social interactions and individual personalities of condors. Yes, you read that right—you too can be a condor psychologist. Participating is easy: once you’ve registered at the project site, you simply identify all the animals in a photo, and then, whenever possible, provide the tag ID. A tutorial on the site will walk you the procedure for tagging the images. An added bonus to this project is that you’ll get to enjoy, virtually at least, a lot of California sunshine in the process! Bird watching is one of the fastest growing hobbies in the world. 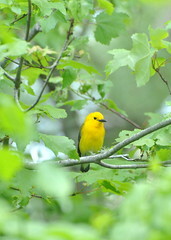 The US Fish and Wildlife service, for example, estimates that some 51.3 million Americans watch birds. It’s not hard to see why the hobby is so popular: it gets you outdoors, you don’t need a lot of equipment, and it’s fun to spot the less common birds. The Cornell Lab of Ornithology and National Audubon Society want to harness that enthusiasm to aid global conservation efforts. Their program, eBird, provides a standardized checklist for “birders,” as they are called, to enter their observations. A birder simply registers at the site, and then enters when, where, and how they went birding, and fills out a checklist of all the birds seen and heard. The site also doubles as a journal, allowing birders to keep a history of their observations online. eBird is extremely popular: in March 2012, participants reported more than 3.1 million bird observations across North America. There are also tools to compare your totals to other eBirders around the world. For example, you can keep tabs on your yard totals, your patch totals, and measure up against the top 100 eBirders in your region. Apparently, I have some catching up to do: the top birder in my area has completed more than 600 checklists. If heading outside right this minute, doesn’t appeal, you can spend time on the eBird site checking out the range and point maps, bar charts, line graphs, and a real-time submission map, all on the explore data page.